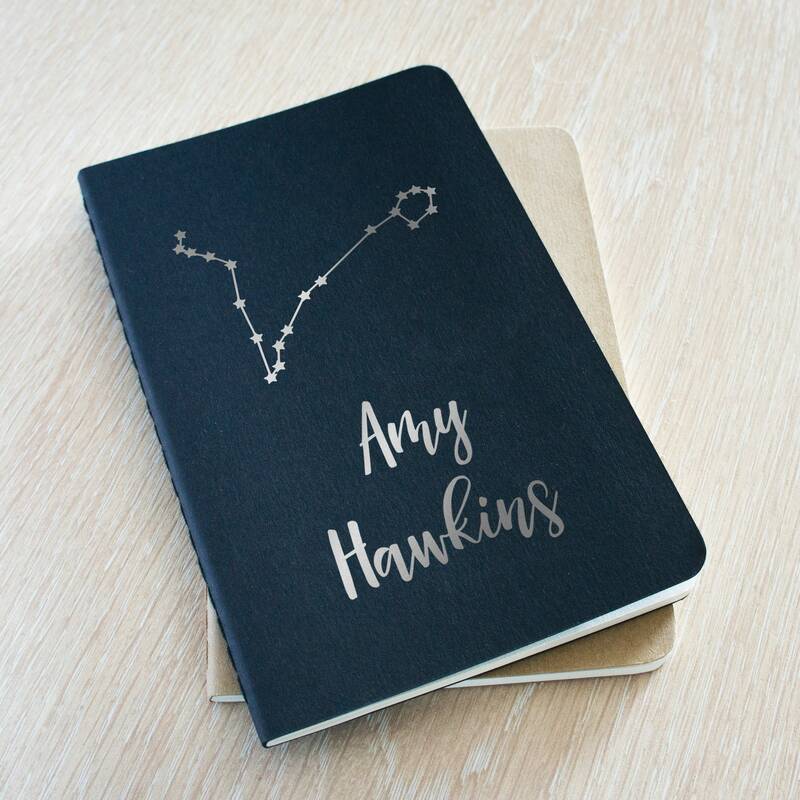 A small constellation notebook personalised with a zodiac star sign and a name. Just let me know the personalisation you'd like when ordering. The Moleskine Cahiers notebooks feature a flexible heavy-duty card cover in black or brown with visible stitching on the spine. 32 pages of acid free paper (64 sides to write/draw onto) and the last 16 sheets are detachable. There also is a pocket at the back for loose notes. 40 pages of acid free paper (80 sides to write/draw onto) and the last 16 sheets are detachable. There also is a pocket at the back for loose notes. 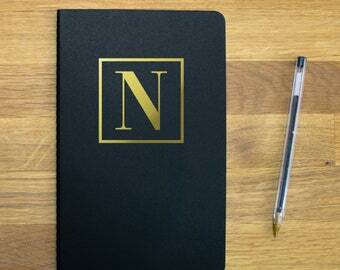 The listing is for 1x notebook made to order. 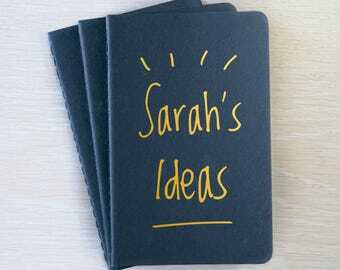 There is a box called "Add your personalisation" where you can let me know the details you’d like on your notebook. 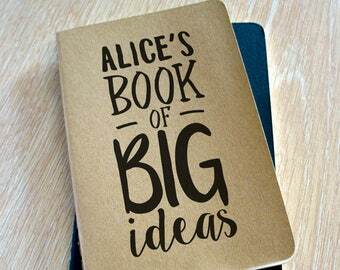 Lovely, good quality, notebook. Seller was happy to personalise it how I wanted it; even though it differed from the normal mock ups. Shipped fast. Great present for my friend. Very nice quality, very nice seller. Thank you. Really high quality and very good value for money. Lovely Mother’s Day gift. Thank you! Can I change the name on the product? 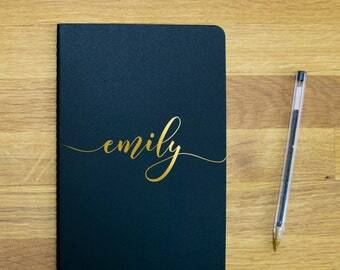 You can personalise our products with any name, date, text, etc. you like. I have my own design I'd like on your product instead of yours. Can you do this? As long as we are able to physically make it, then yes. Problems might occur if the design is very small or intricate but we will always try to make things work. Just send us a message with what you have in mind, a photo or screenshot is always useful, and we will let you know.